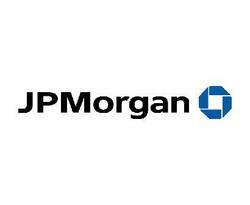 DividendMax»Company Coverage»Country:United States»Exchange:New York Stock Exchange»Sector:Banks»Company:JPMorgan Chase & Co.
J.P. Morgan Chase & Co. is a leading global financial services firm with operations in more than 50 countries. The group’s businesses include: Investment Bank, Investment Management & Private banking, Treasury & Securities Services and Chase Financial Services. The company’s wholesale business operates globally under the JPMorgan brand, servicing prominent corporations, governments, wealthy individuals and institutional investors. The consumer, small business and middle market financial services franchise of J.P. Morgan Chase & Co. operates under the Chase brand, delivering financial products, services, advice and planning to more than 30m customers across America. As with the majority of banks globally, JP Morgan cut its dividend in the wake of the financial crisis.